In conjunction with World IT 2019, we will organize some workshops. 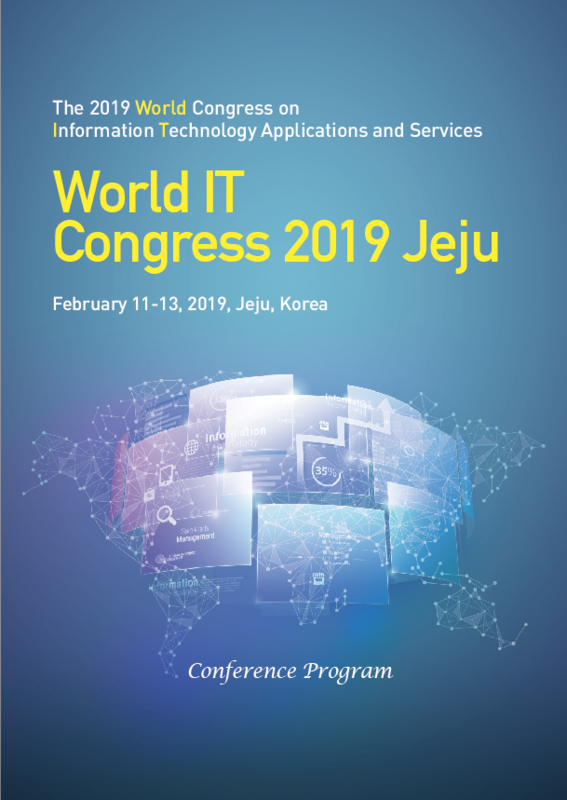 The workshop proposals should be submitted to WITC2019 secretary (witc2019.conf@gmail.com) by Dec. 31, 2018. Several workshops will be held in conjunction with World IT 2019 with the aim to explore special topics and provide international forums for scientists, engineers, and computer users to exchange and share their experiences, new ideas, and research results on hot topics on Future Information Technology. Workshops for presenting papers from industrial companies and papers on implementations of systems and services are very welcome. One workshop MUST have at least 7 registered papers. ** Each workshop organizer MUST send workshop package to workshop chairs by Jan 15, 2019.